This dessert is elegant and delicious. And so easy. That can be our secret. Well, ours and the internet. 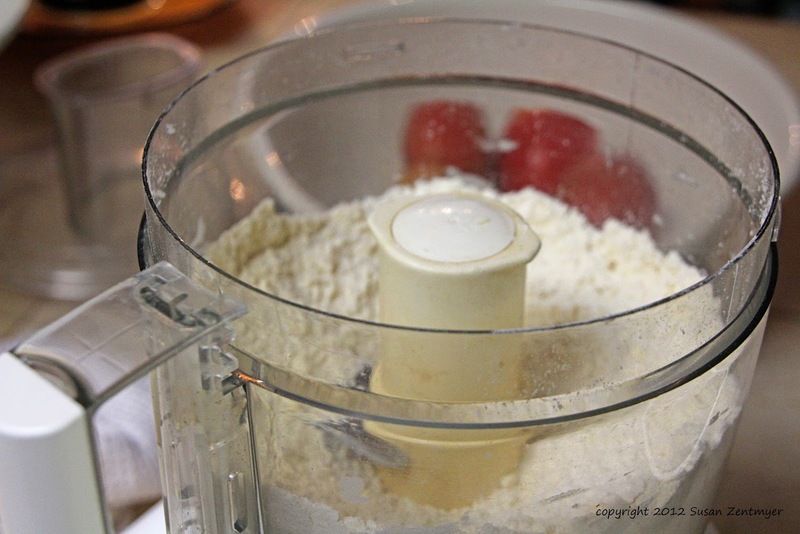 Make the crust for the tartlettes by putting the flour and butter in a food processor. 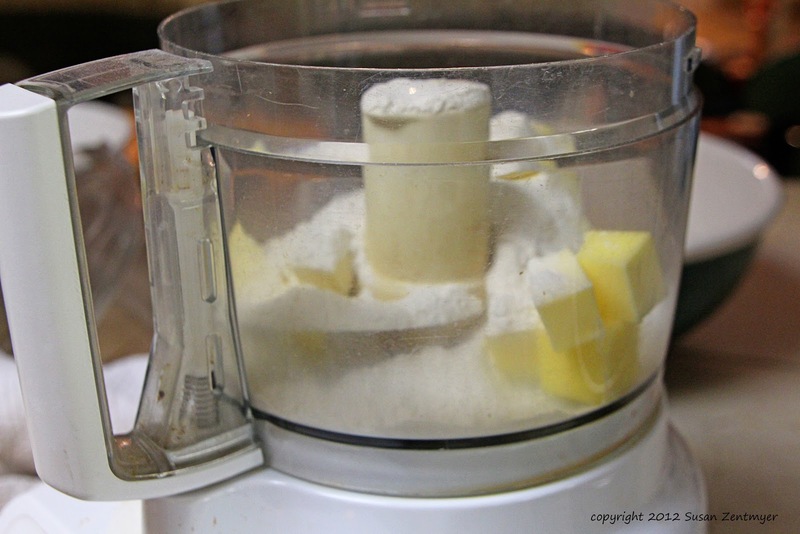 Process for about 30 seconds, or until the mixture resembles corn meal. 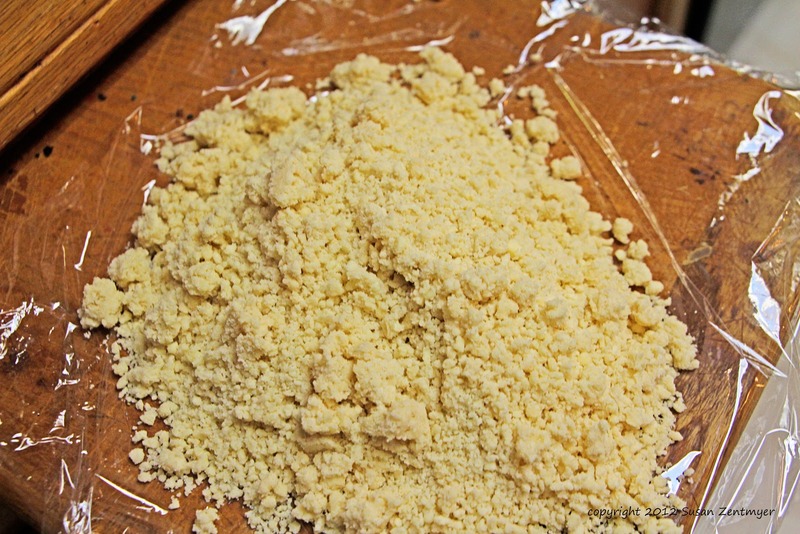 Add cold water a teaspoon at a time, pulsing after each addition, until the mixture holds together, but isn't sticky. Pour onto a piece of plastic wrap. 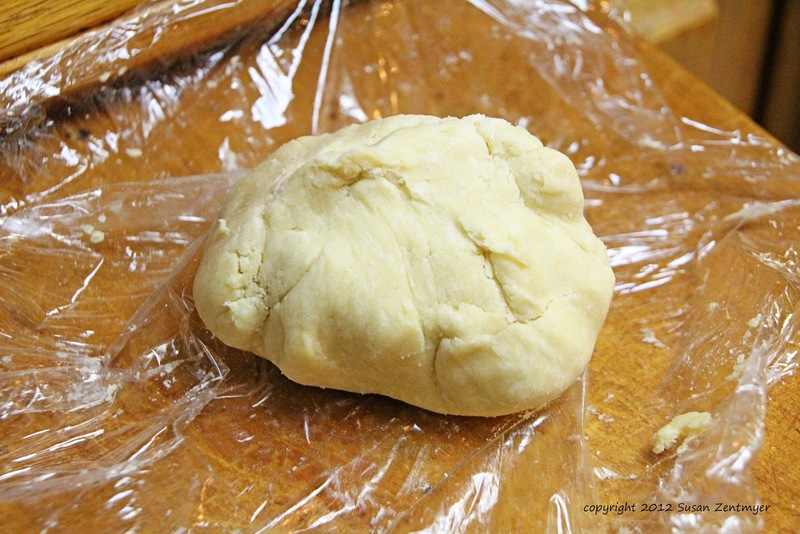 Form into a ball, wrap and refrigerate for about an hour. 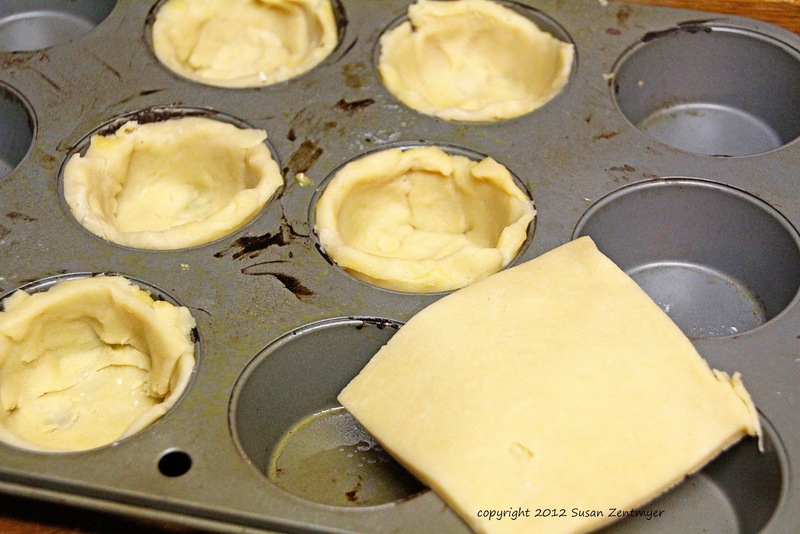 Roll out about 1/8 inch thick, and form six tartlette shells in a muffin tin. Don't worry if they don't look perfect. 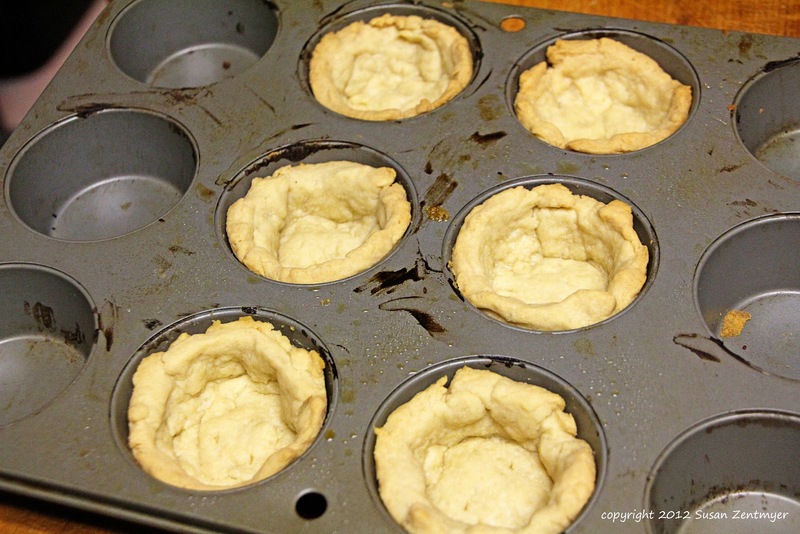 You only want to make sure that there are not holes in the tartlette shells. Bake at 350 for 10 - 15 minutes, or until the edges are golden brown. Now it is time to assemble. Fill the tartlette shells with the compote. 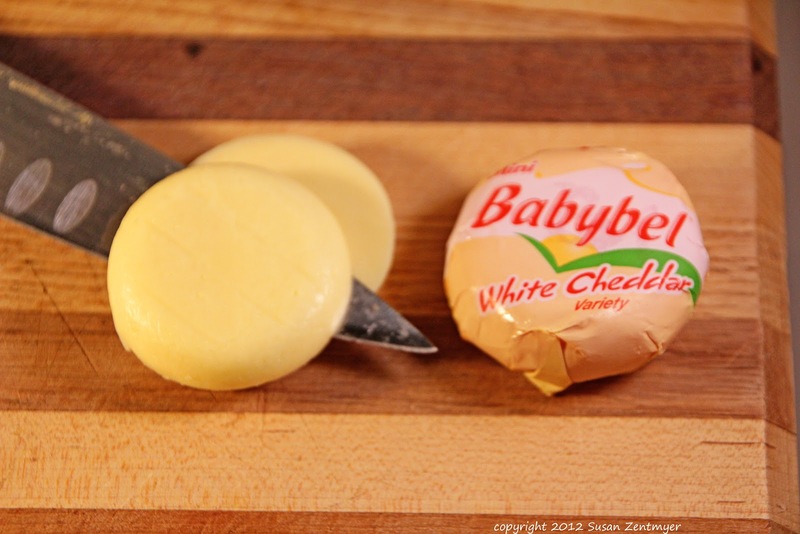 Place a slice of cheddar cheese on each one, and put in the over for 1 - 2 minutes, until the cheese is softened, but not melted. 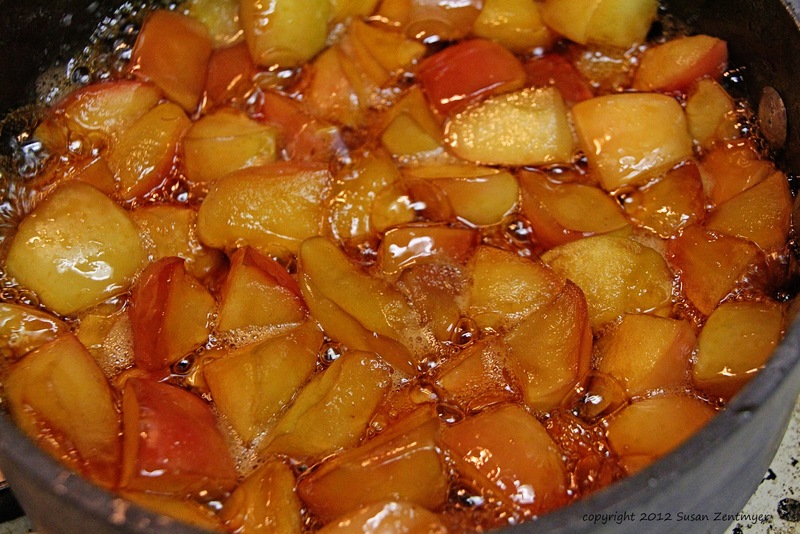 Carefully remove from the tin, and serve with a bit of compote on the side and caramel drizzled around the plate. Voila! Elegant dessert - made in a snap! 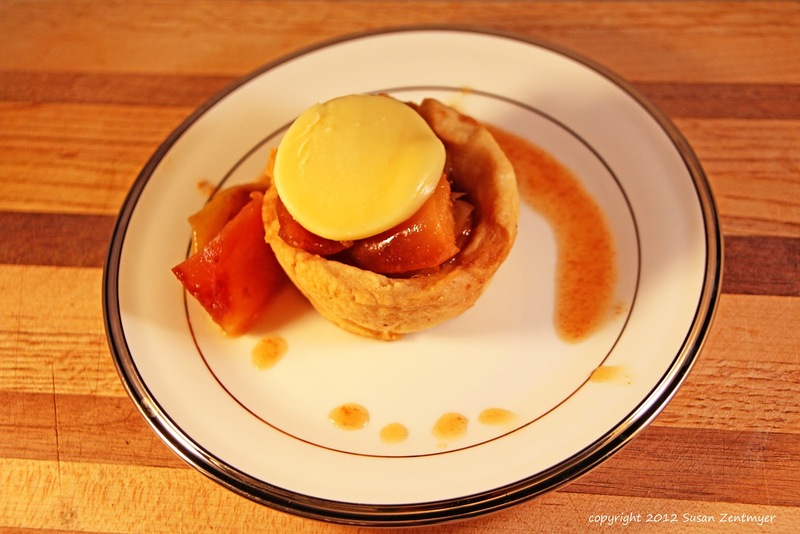 Cheddar cheese is a great foil for apple desserts. It adds an unexpected depth of flavor that I think you'll love. I love your recipes! Thanks for sharing them at Cast Party Wednesday!